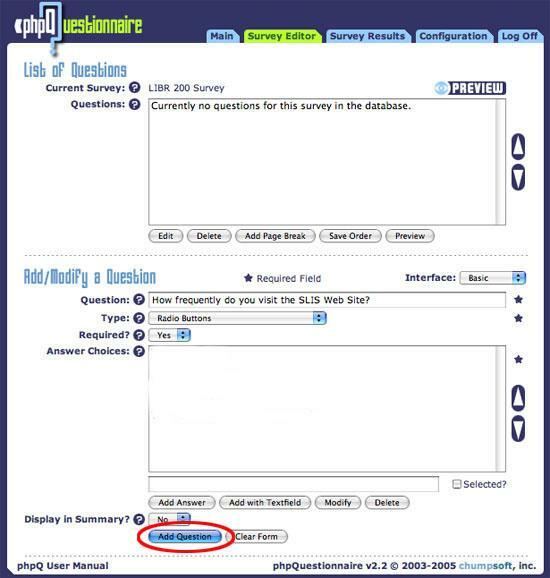 Note: To simplify the survey question creation process, question creation has been separated from the addition of answer choices. When you have finished creating the question, see Radio Buttons: Add Answer Choices and Modification. A Radio Buttons question allows the user to select only one of a pre-defined list of answers for the question. All answers will be displayed for the user to read. To simplify the radio button question creation process, question creation has been separated from the addition of answer choices. Ignore this for now and continue with this tutorial. 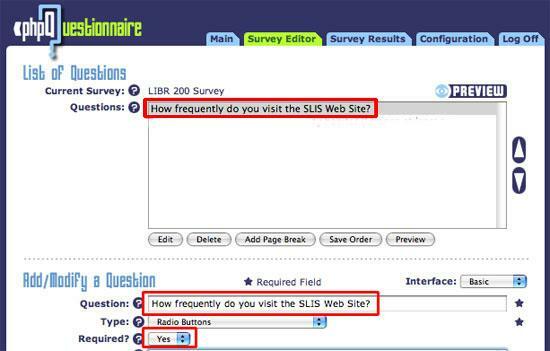 When you have finished creating the question, see Radio Buttons: Add Answer Choices and Modification. Now, your Radio Buttons question will be ready for answer addition. Ignore this for now and continue with this tutorial. When you have finished modifying the question, see Radio Buttons: Add Answer Choices and Modification.